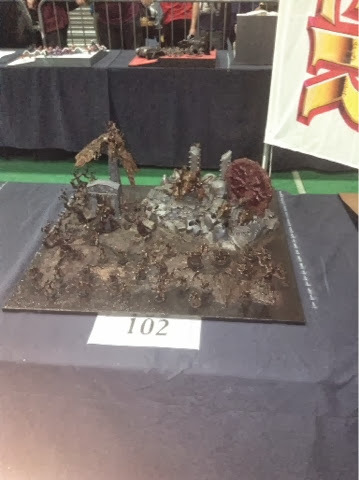 So my fellow bloggers, I'm back! 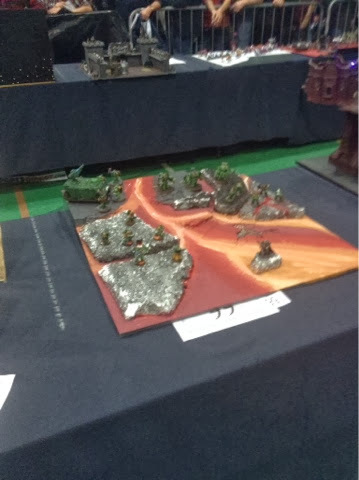 After a hiatus I'm launching myself into the hobby again. 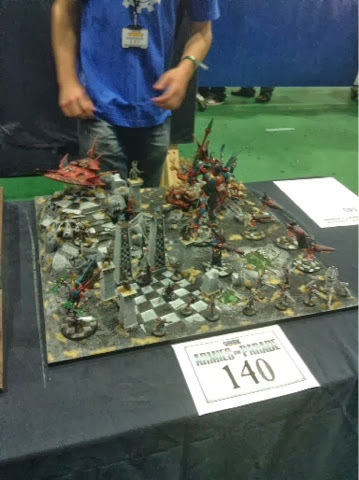 College life, a ridiculous level of commuting, and recently a part time job on top of that! 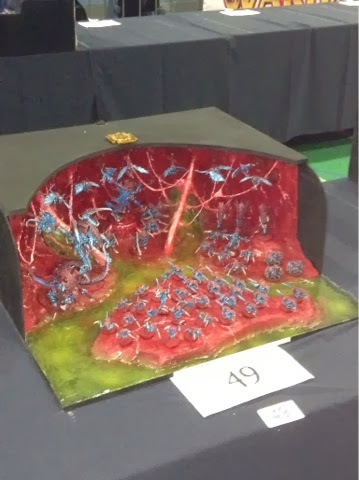 The free time that I had spent in activities that involved no concentration! 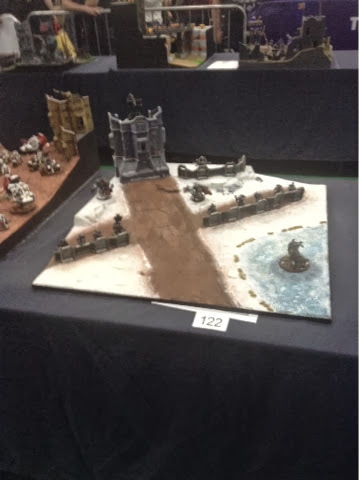 This meant that my hobby got put to one side for a while. 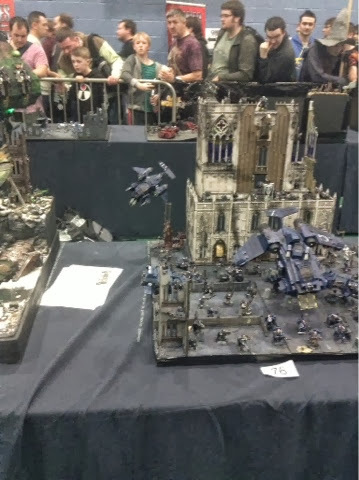 In many ways I'm actually happy about that, but that's for another post. 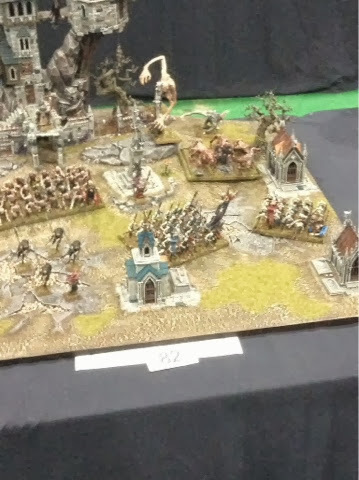 This one is just here to say, I'm back! 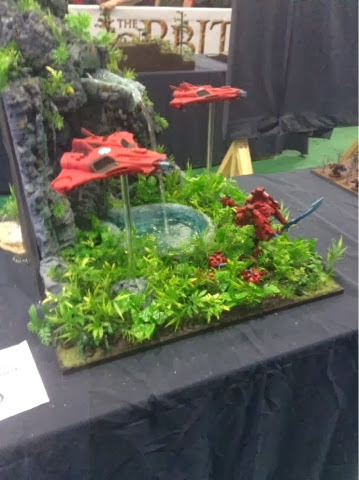 My plans for the hobby now, are clearer than when I took the break. 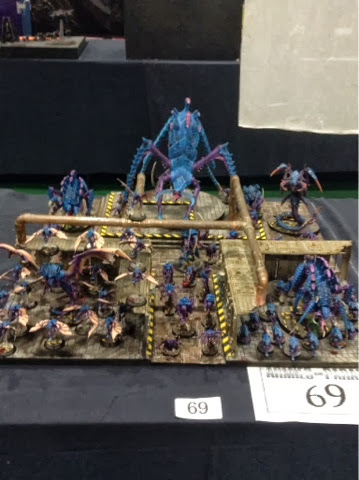 The painting side of things is what interests me most, and as such, that is what I will focus on. 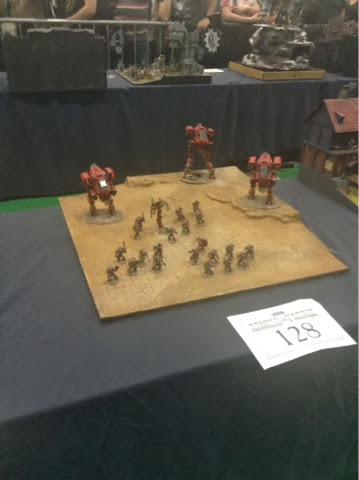 I will be painting models individually, with a vague aim of building up an army bit by bit. 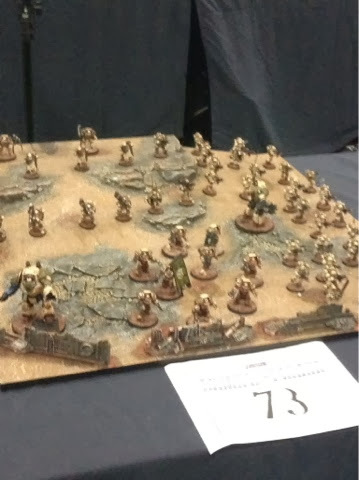 The first goal is 750 points of my favourite army: my Iron Lords. 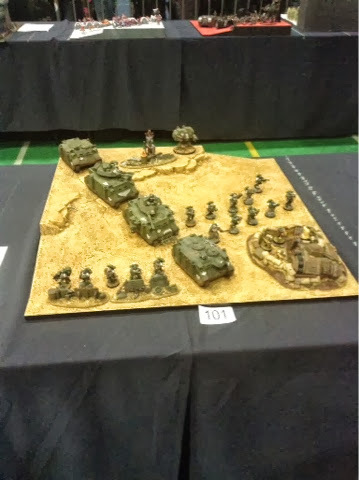 I will be interspersing painting the rank and file guys, with more interesting single figures, not always necessarily to do with the army. 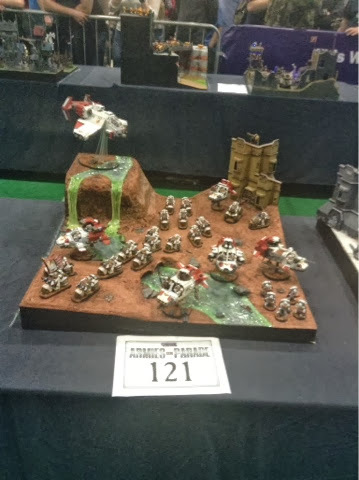 Many of these will make up an inquisitorial warband, that can support my army. 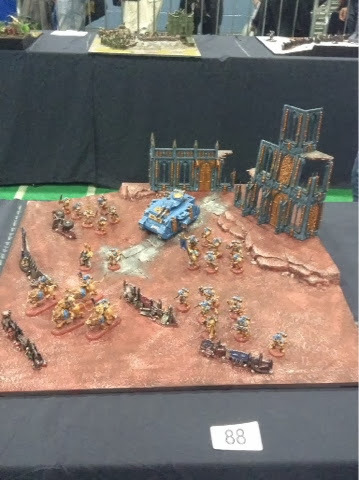 I have already gotten started, and painted up a model to get me back into the swing of things. 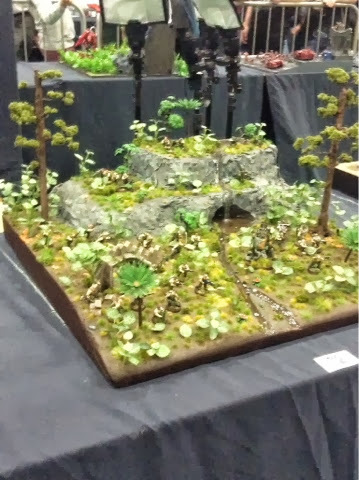 Stay tuned, as I will be posting him tomorrow. 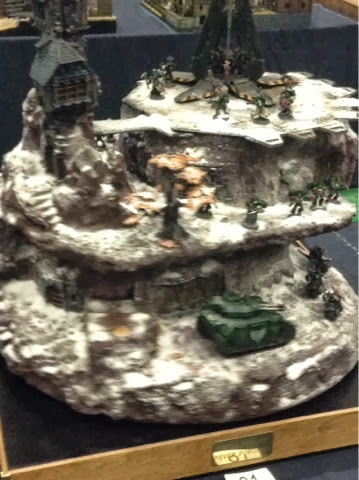 For now though, here's a small peek. 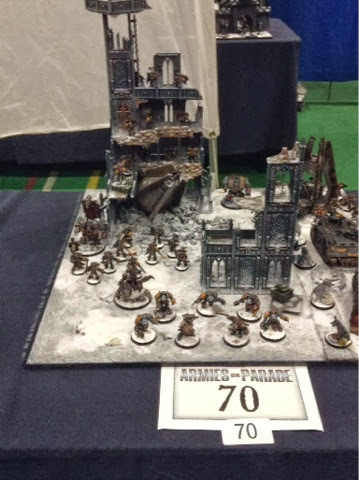 It's just a quick one today, but tomorrow I'll have an update on the Iron Lords tactical squad. 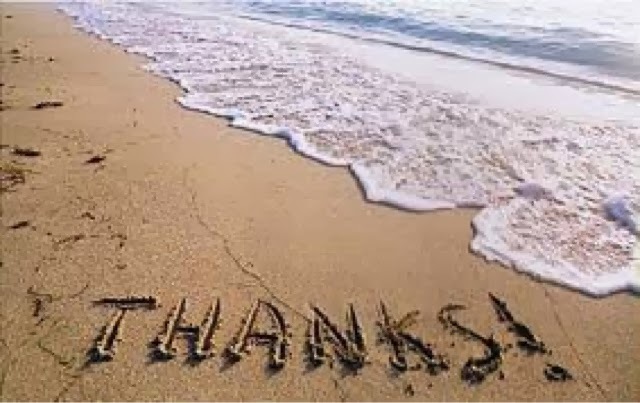 For now, I want to thank every one who has stopped by this blog in the last six months. 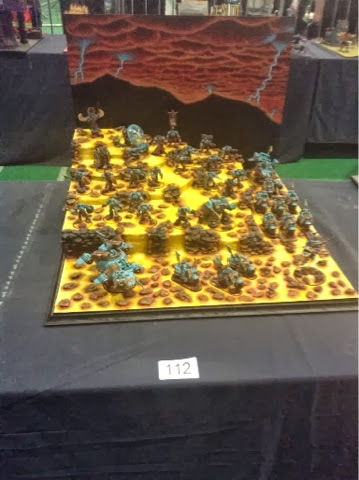 I've reached over 2000 now. 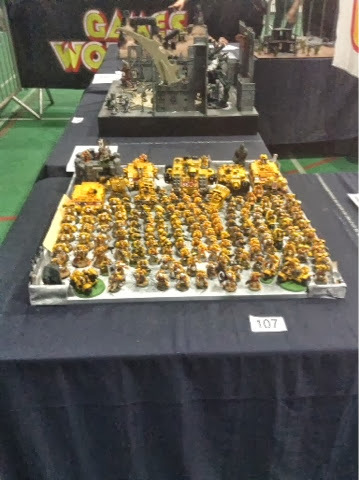 Here's to another few thousand to come! 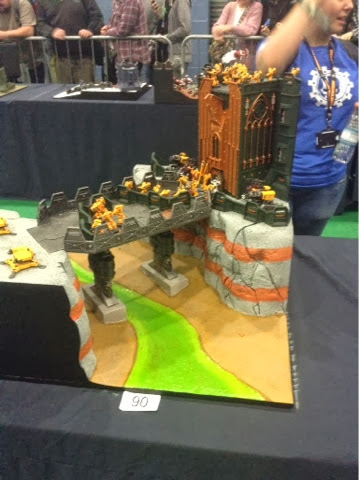 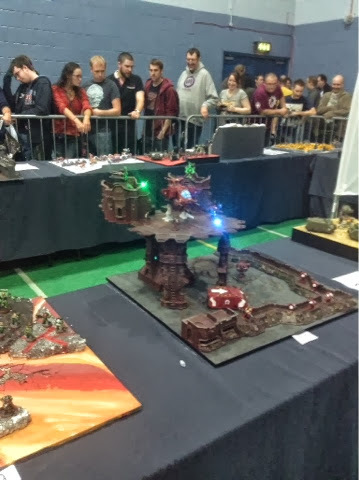 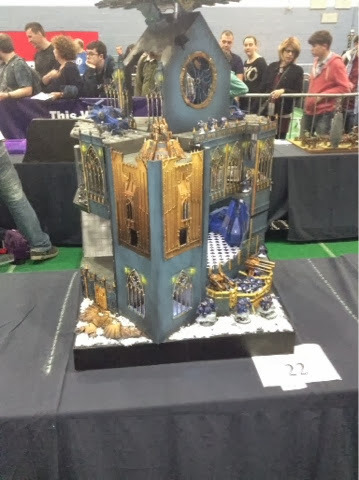 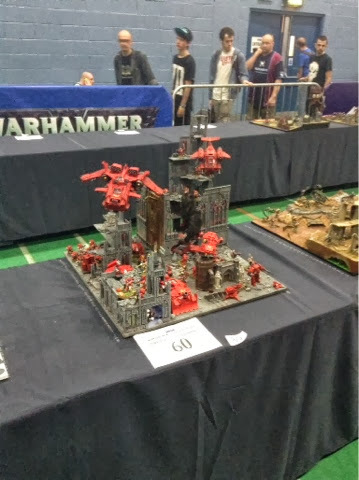 This is just a short post with some photos from Games Day UK. 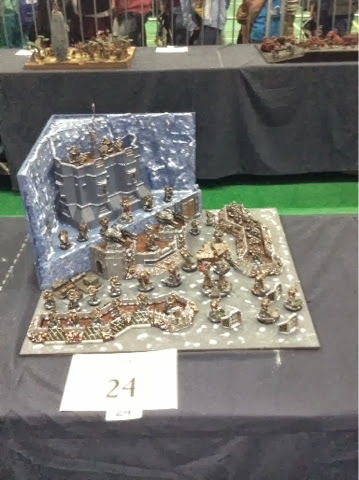 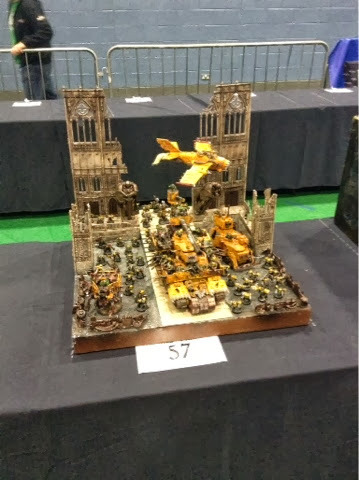 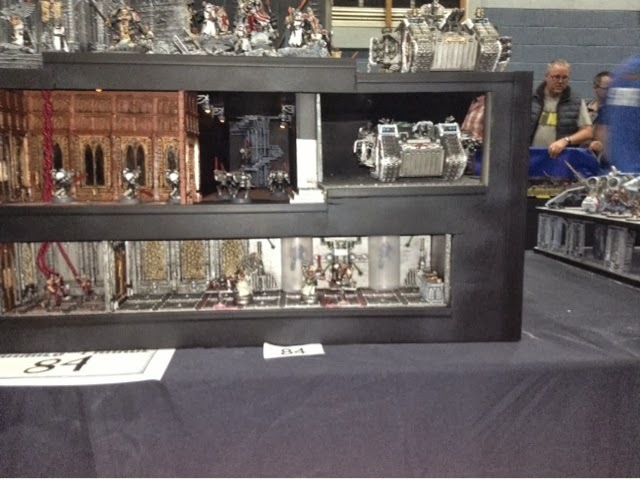 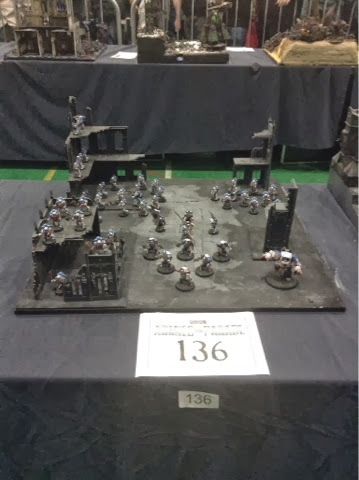 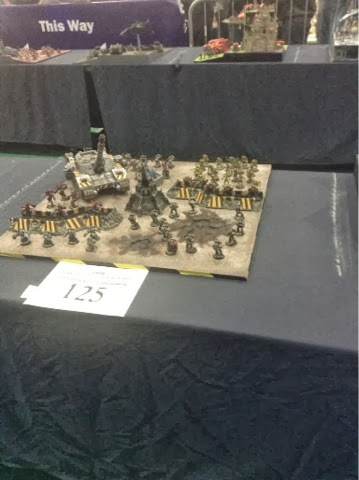 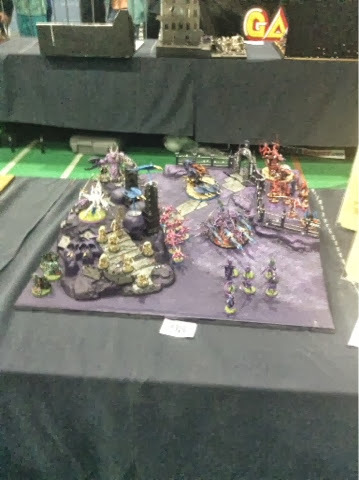 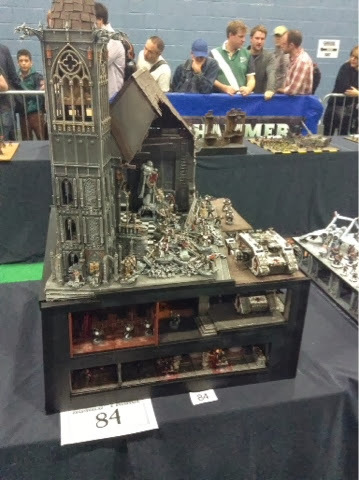 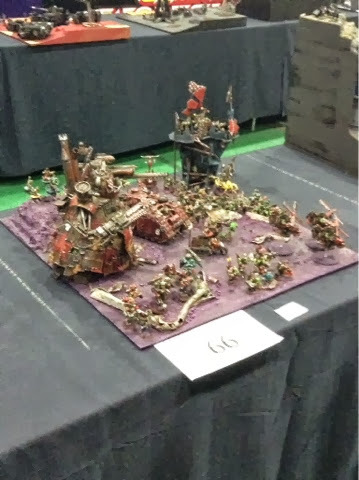 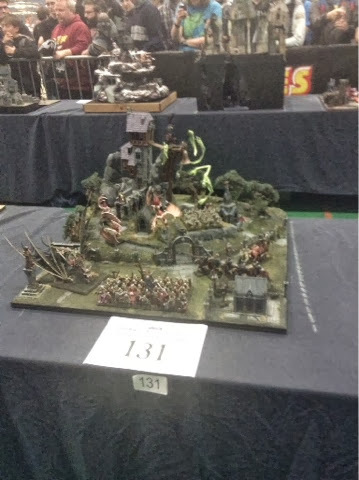 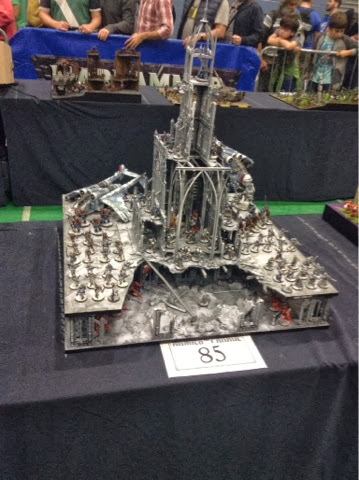 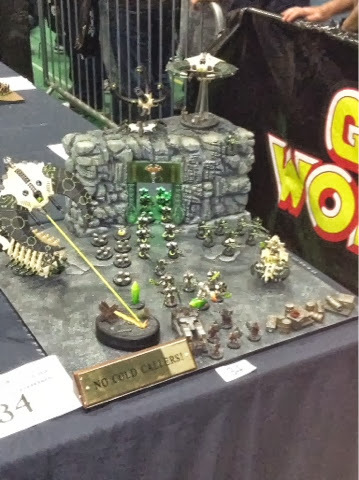 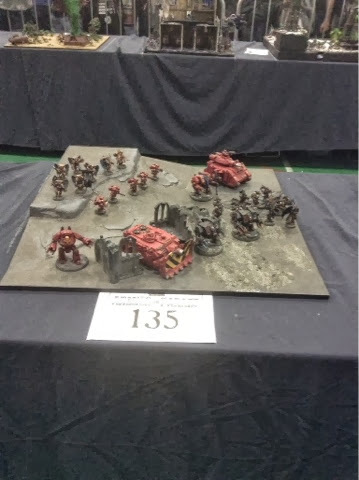 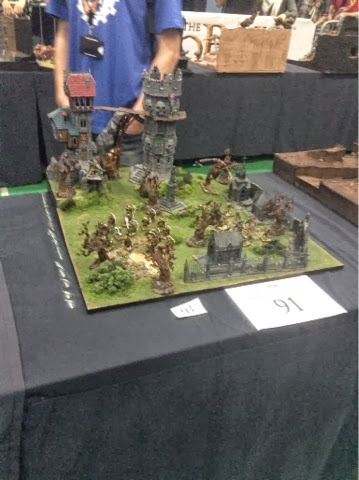 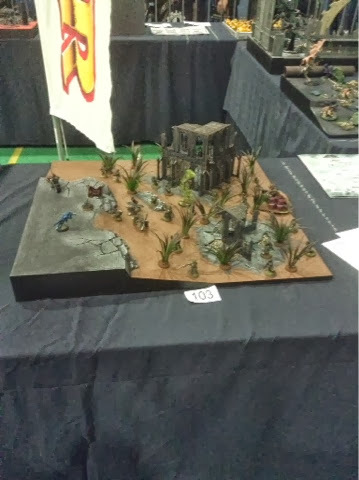 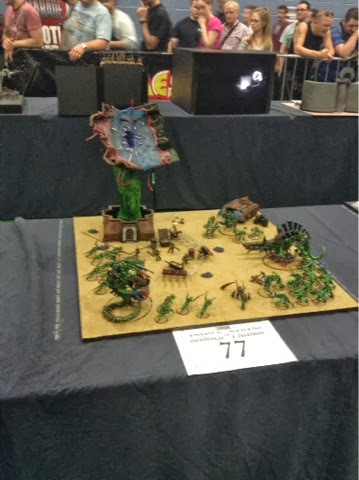 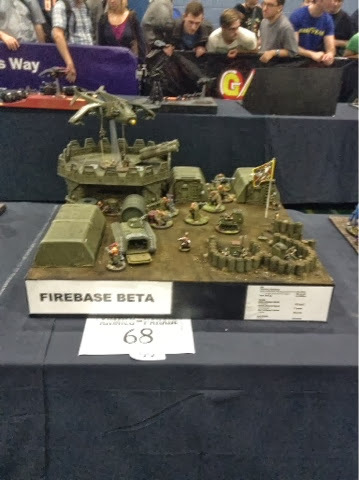 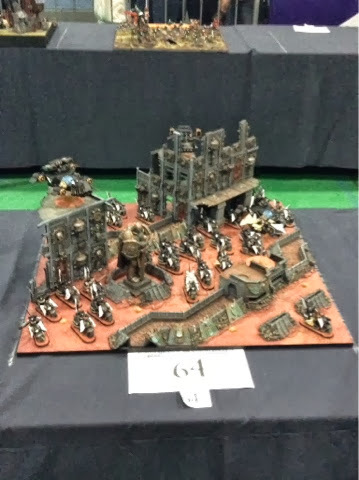 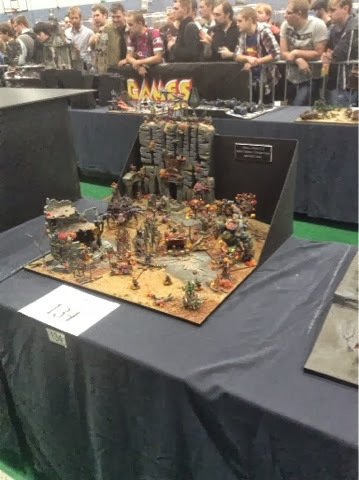 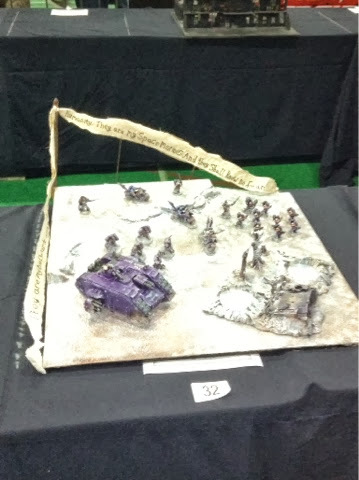 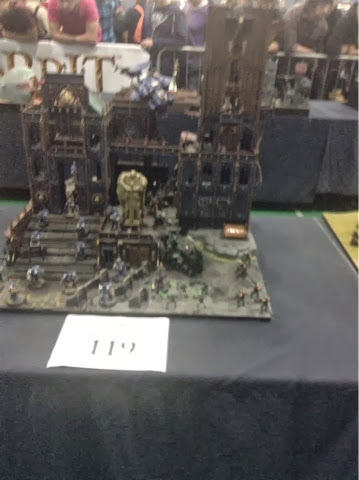 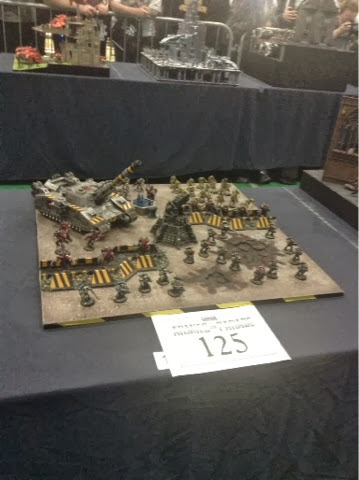 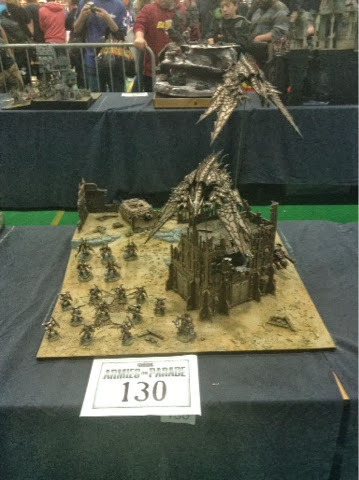 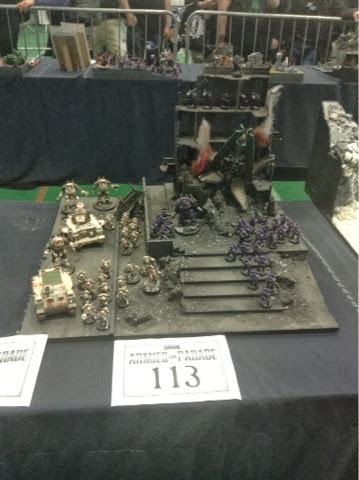 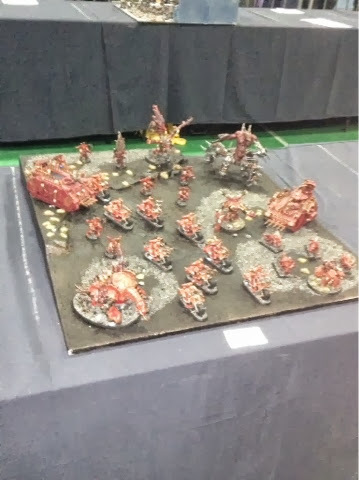 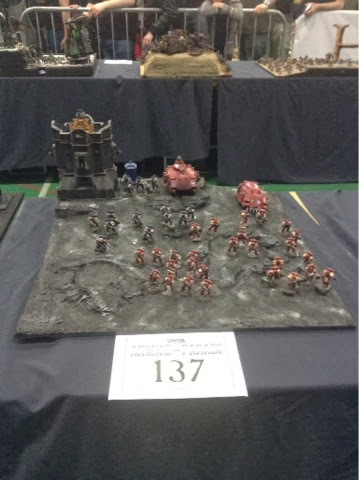 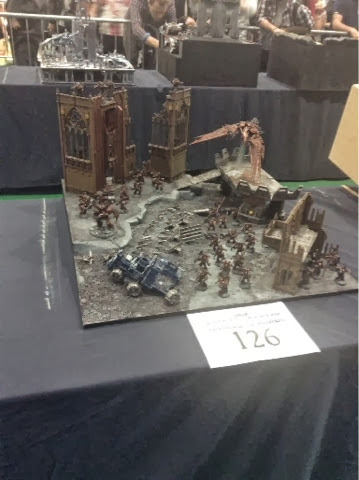 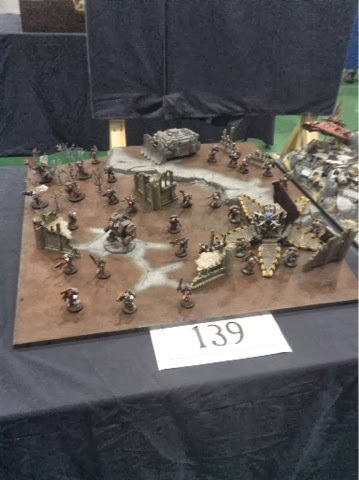 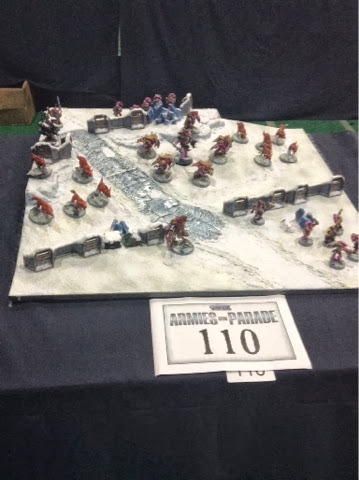 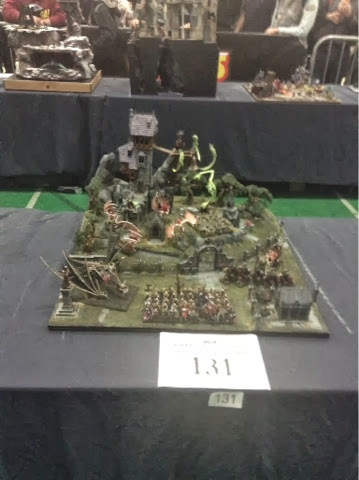 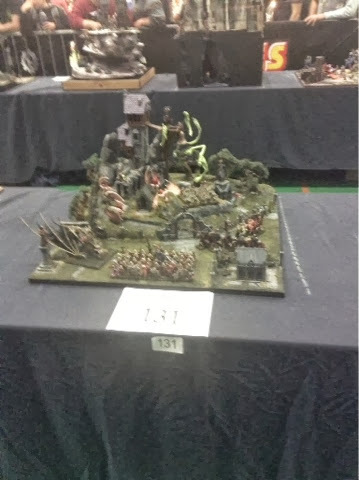 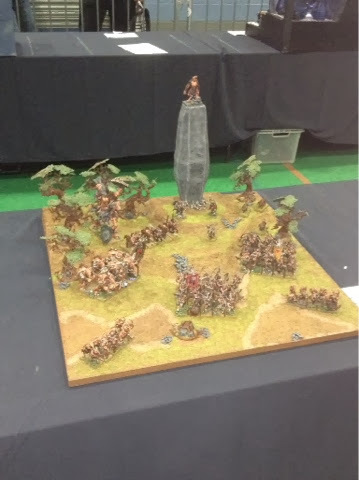 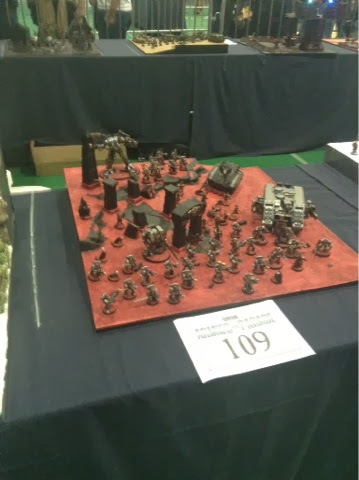 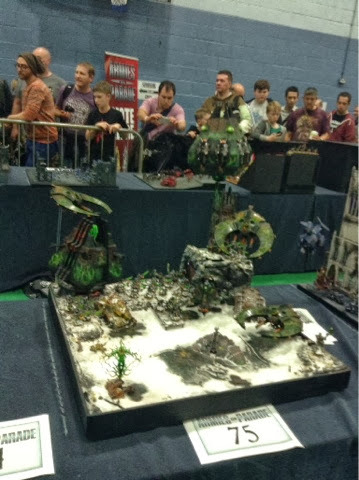 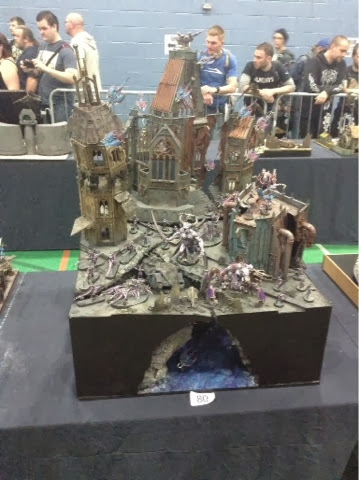 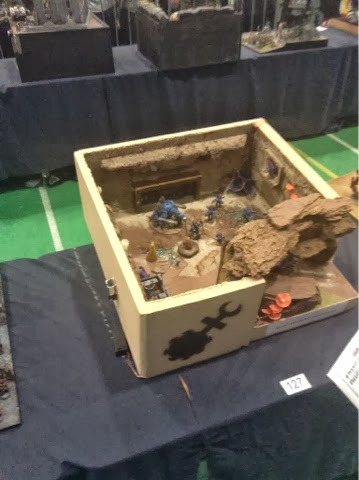 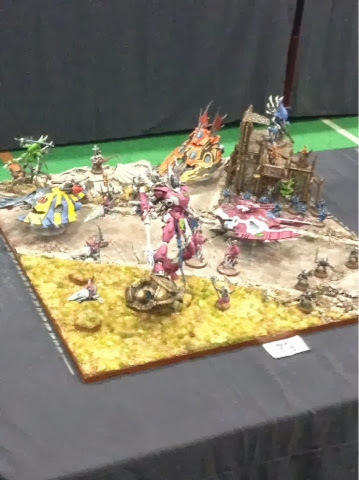 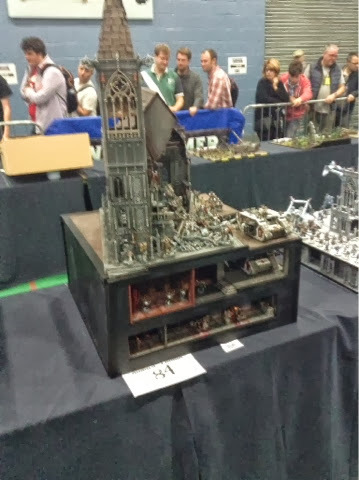 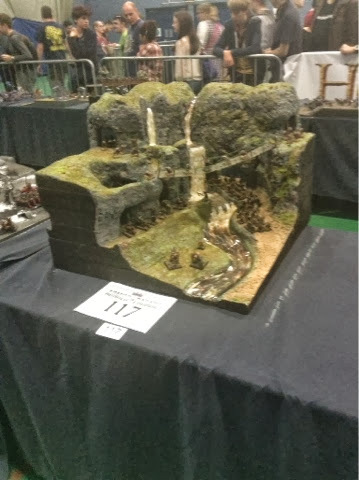 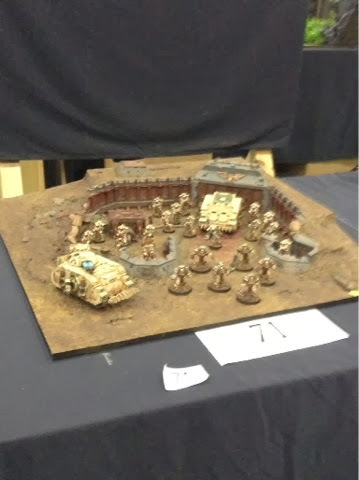 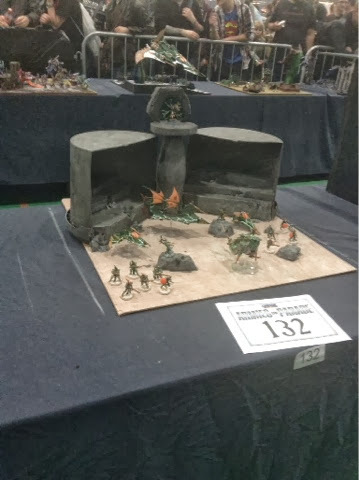 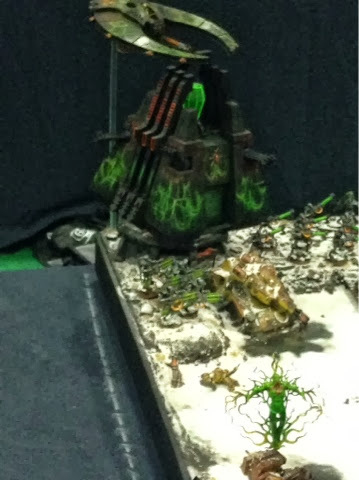 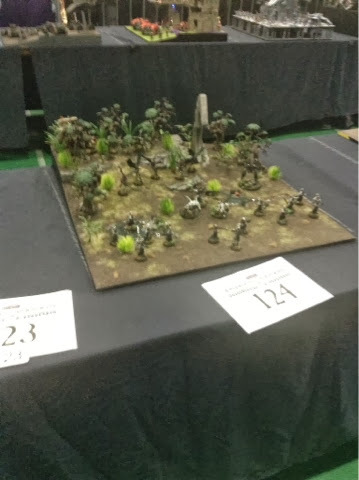 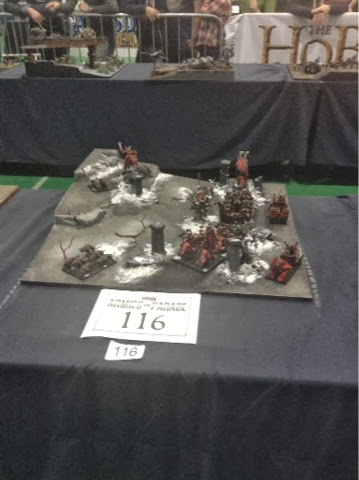 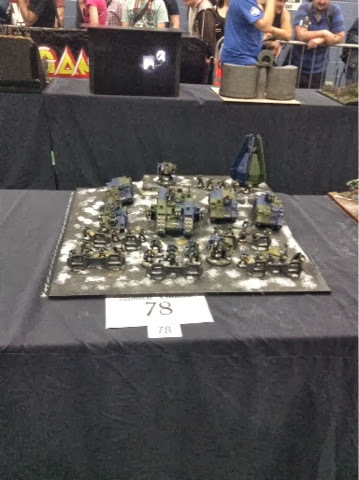 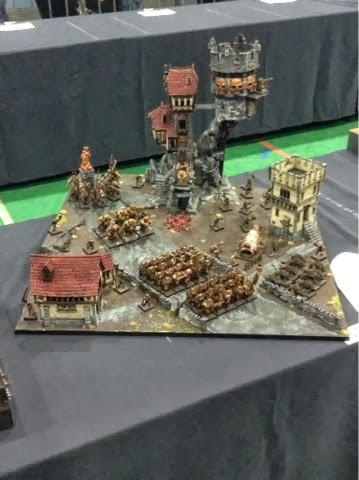 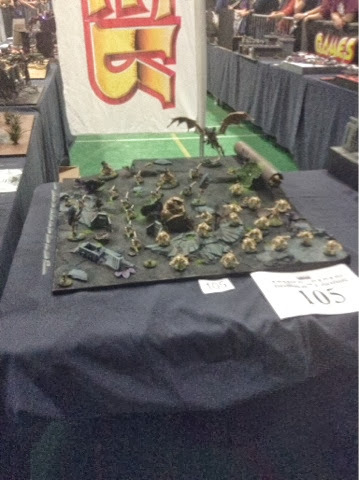 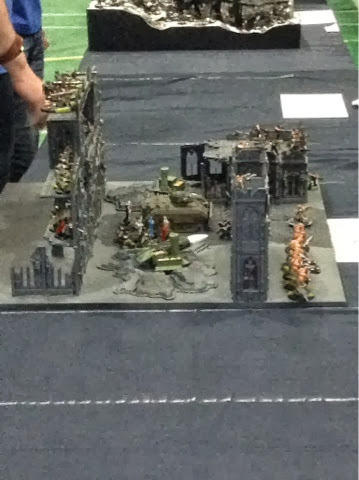 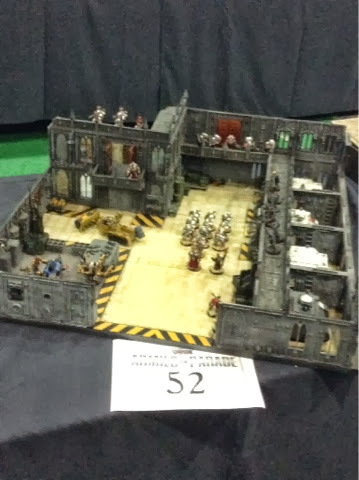 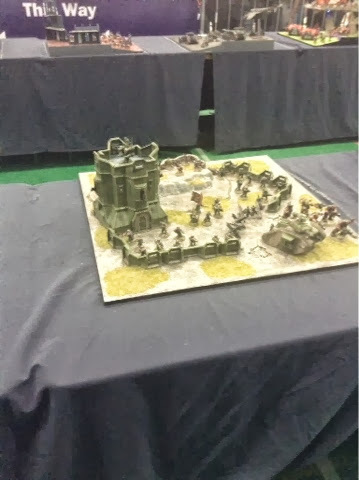 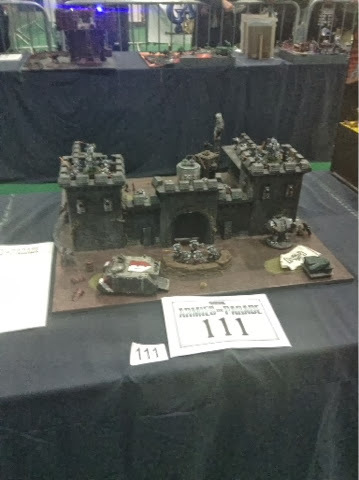 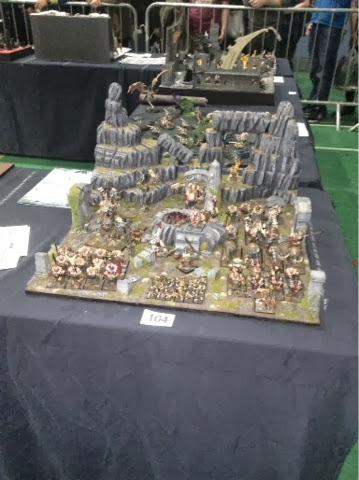 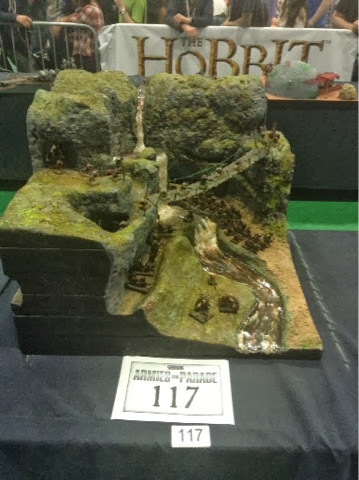 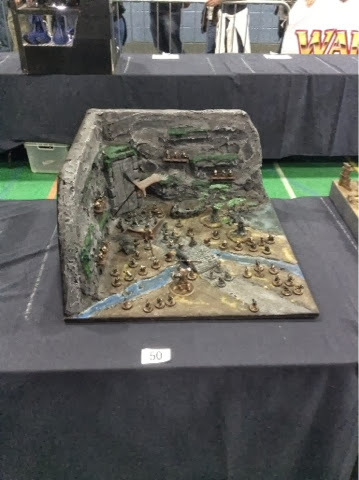 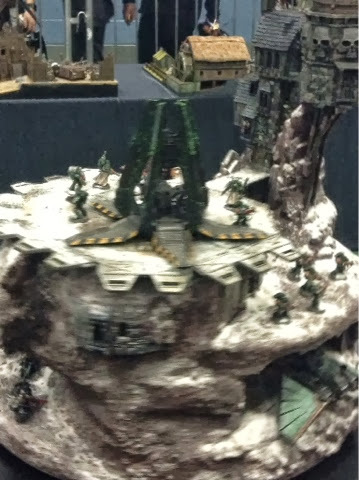 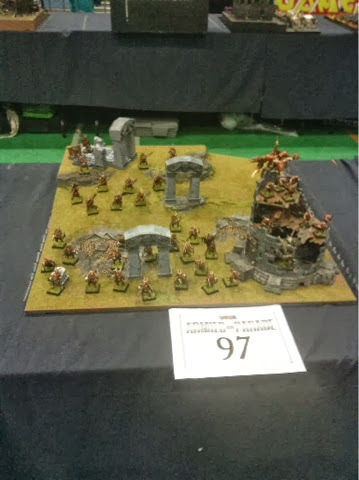 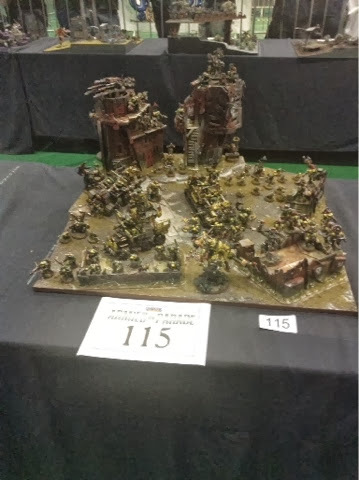 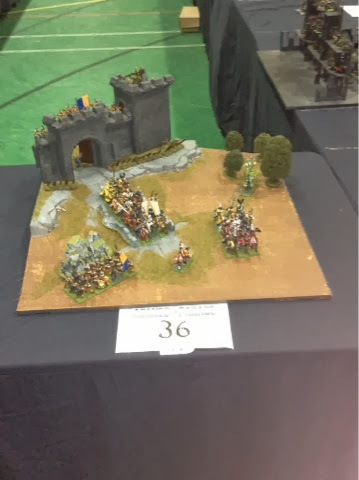 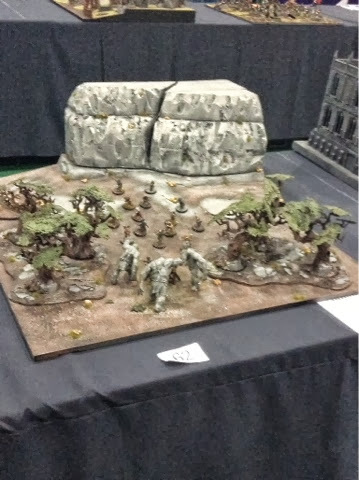 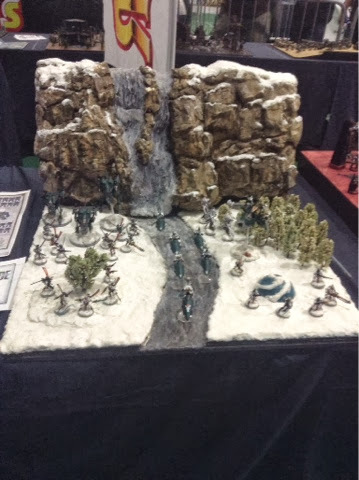 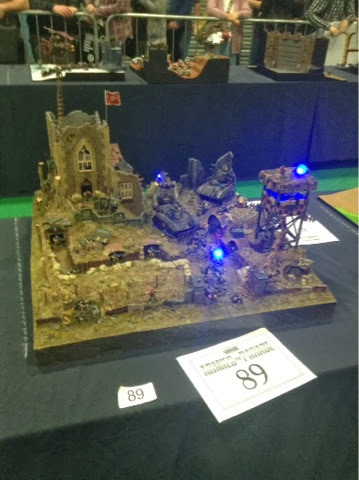 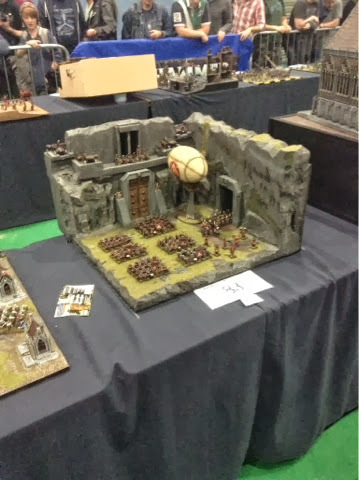 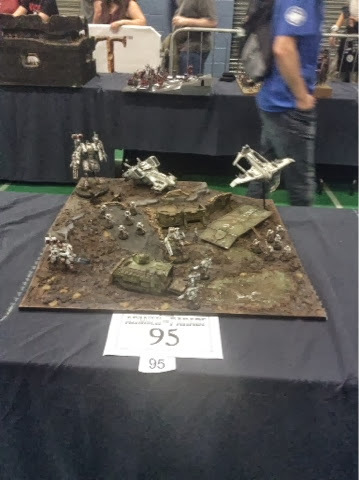 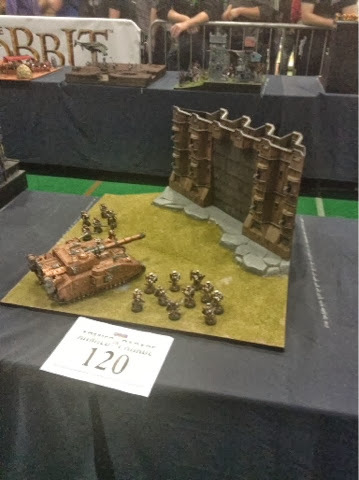 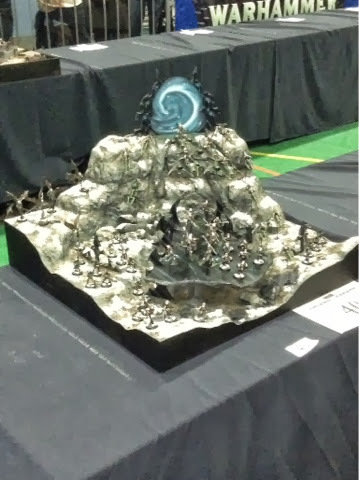 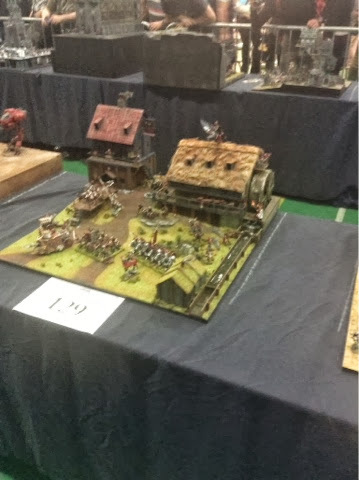 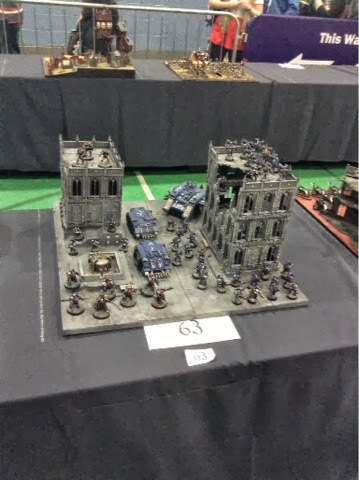 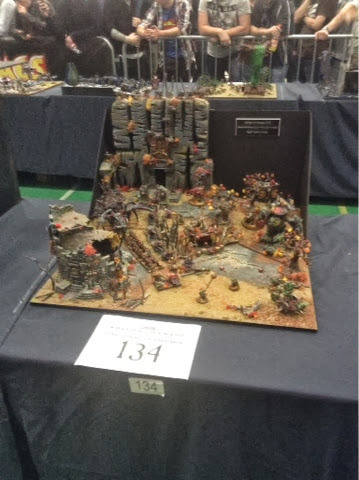 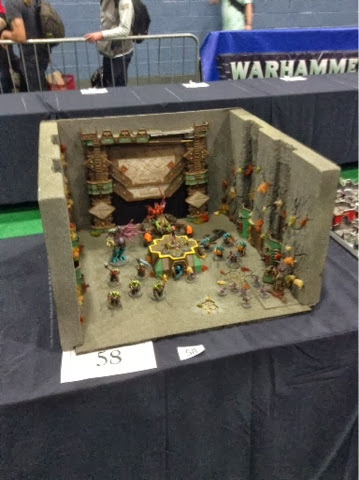 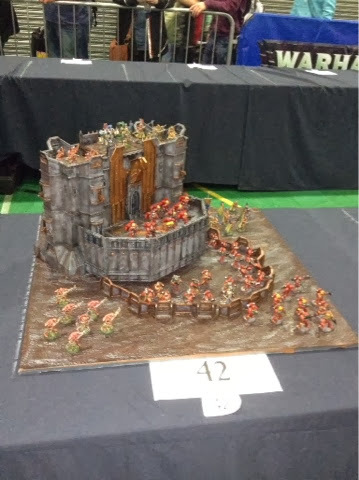 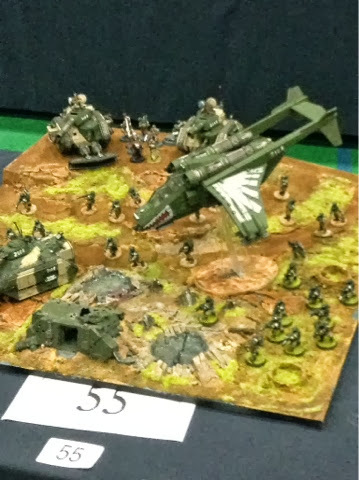 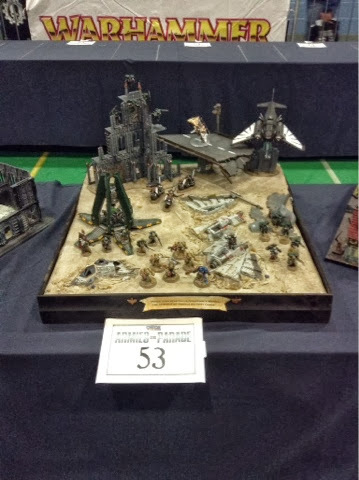 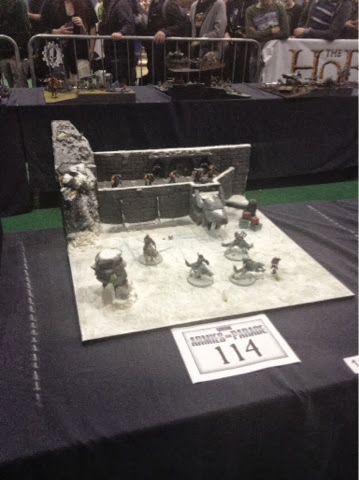 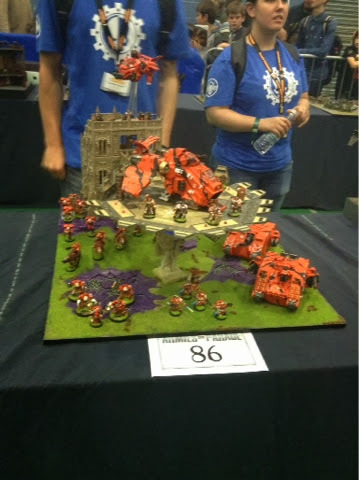 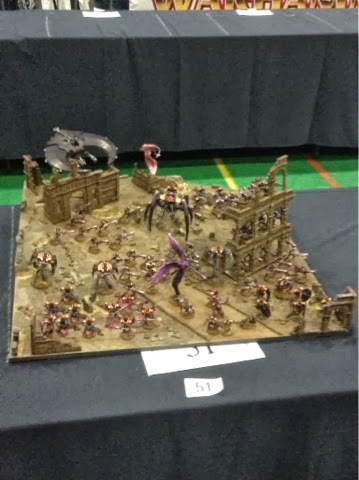 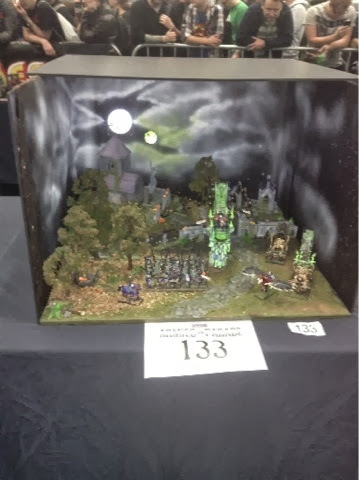 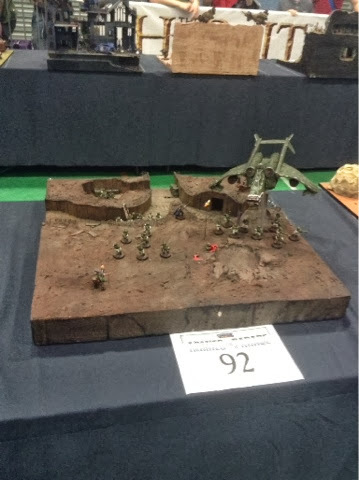 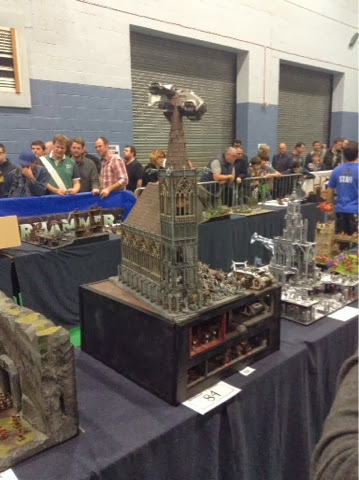 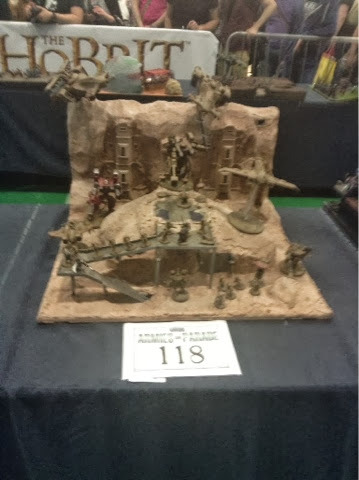 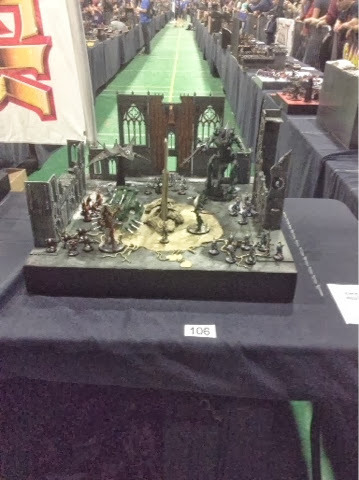 This one is mostly the Armies on Parade at the event. 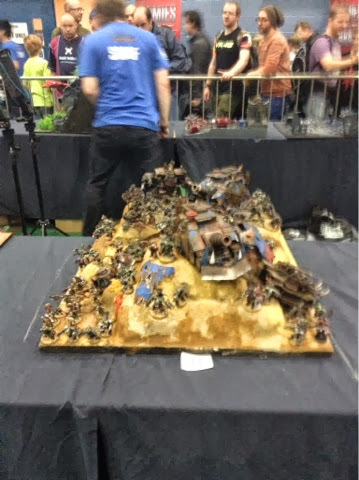 Some may not be there, but it was kinda' crowded. 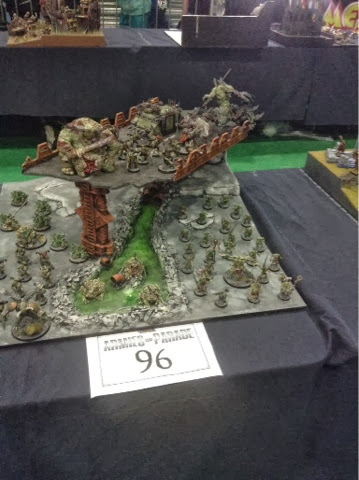 Some of these are truly stunning. 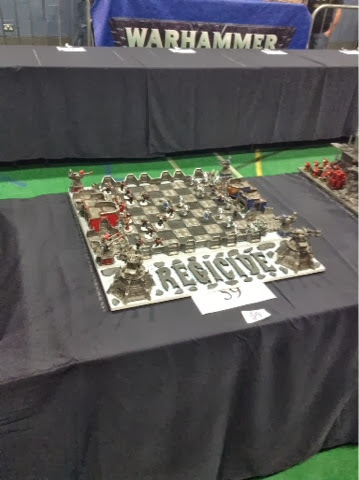 An inspiration to us all! 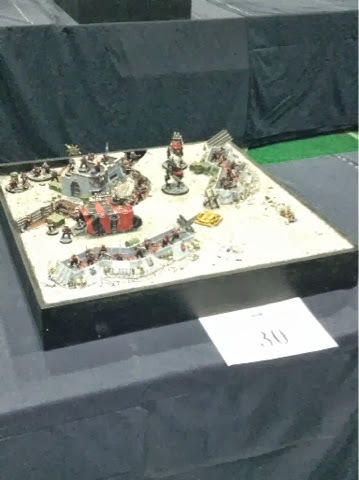 The photos aren't great and they aren't in order, sorry in advance! 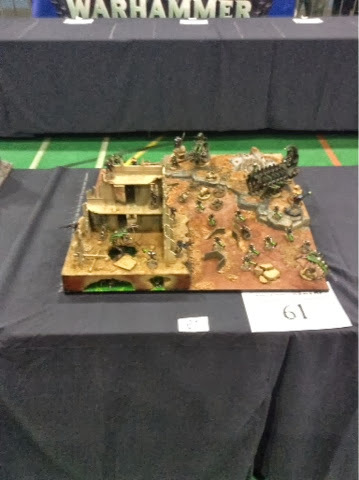 As a side, I tried to publish this a few days ago, but it didn't go through and I only noticed now!